This year we only have 1 training day because we make way for the Fight For Life events. So many of us attend the bi-annual event that we would rather help Kevin Walsh's cancer fundraiser which still involves our vast network of friends. Once again we held the IBF Training Day at Marion with presenters Tracy Ellis (warm ups for martial arts), David Gartland (Kenpo), Ivan McWilliams (silat), Chris Gillies (Kudo), Valentino Cox (Traditional Japanese Karate Network), and Anthony Johnson (Kiai School of Self defense). 4 hours of fun and many new relationships created among the network of martial artists. This time the donation to Beyondblue came to over $1700. A great effort. 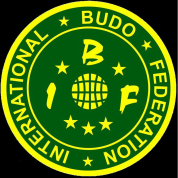 The IBF continues to encourage everyone to build a better martial arts community and be leaders to their students and introduce them to the broad spectrum of the arts.